You should put on a user with password to use the CAPI. 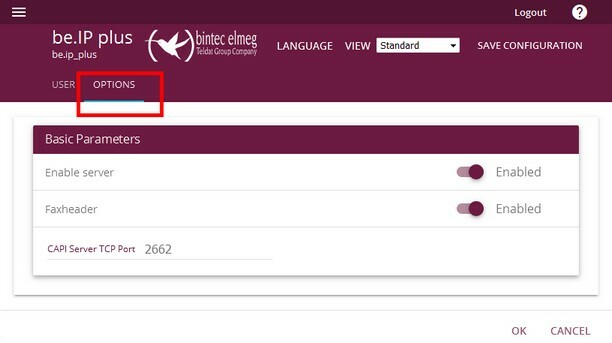 Open the menue in the Web configuration and navigate to "Local Services". Open the menue "CAPI Server", select the Tab "USER". and add a new User object. 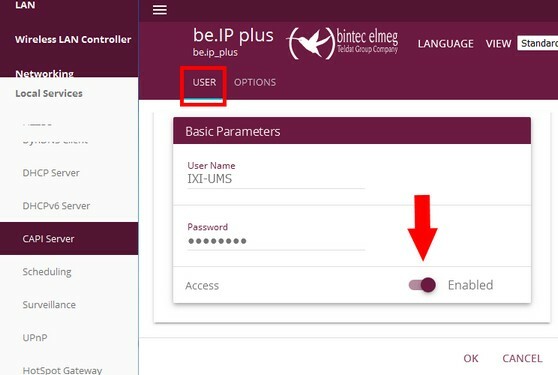 This user data must be defined in the bintec elmeg LANCAPI on the ixi-UMS server later. Change to Tab Options. Here you must enable the server and the Faxheader. Please don't change the CAPI Server TCP Port.